One of the surviving gardens from the Edo period and one of Tokyo’s oldest and best preserved Japanese garden. 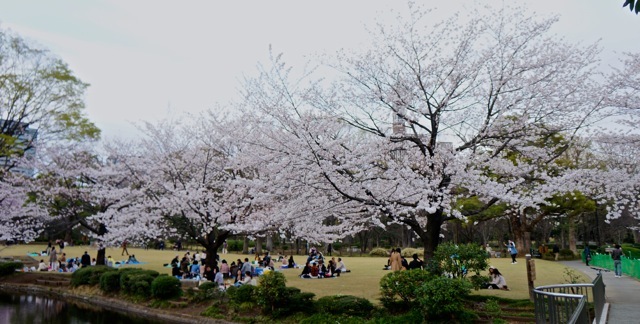 Koishikawa Korakuen Gardens also provides visitors with gorgeous cherry blooming trees. It features beautiful weeping cherry trees around the garden’s entrance gate and several Someiyoshino Sakura near the pond. Please note however, that some parts of the pond and several structures and walkways in the park are under renovation and may have certain impact on the view. Visitors taking photoi of the Weeping Cheery tree near the garden entrance. This park is a part of the Imperial Palace Outer Gardens and was formerly the northern fortress of Edo castle. 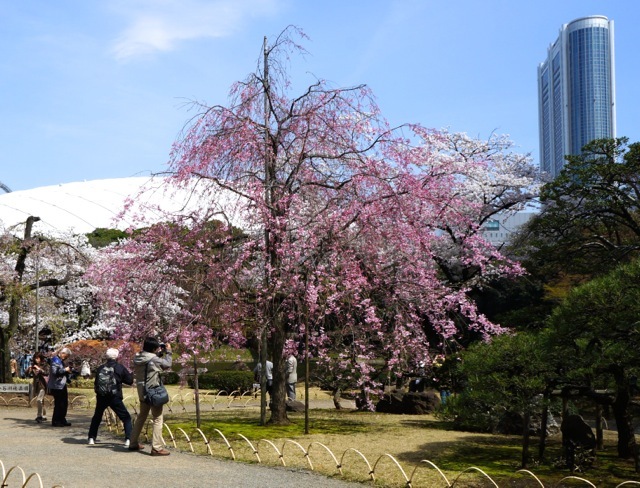 Kitanomaru National Garden is located around 1.1 kilometers from the popular cherry blossom spot, Chidorigafuchi Ryokudo. The sakura trees around the lawn area are also in full bloom as of today. Unlike other parks in Tokyo, Kitanomaru Park is not as crowded thus provides a peaceful ambiance. Lawn area in Kitanomaru Park. Chidorigafuchi is a moat located northwest of the Imperial Palace. 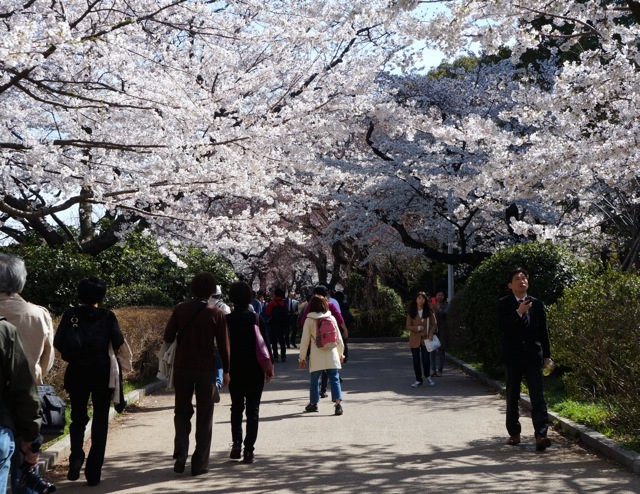 The cherry trees of over two hundred which are planted along the 700 meter pedestrian path are in full bloom despite the strong rain & wind yesterday and are expected to stay at their peak over the next few days. Trees are also illuminated at night from 18:00 to 22:00 until April 6th.